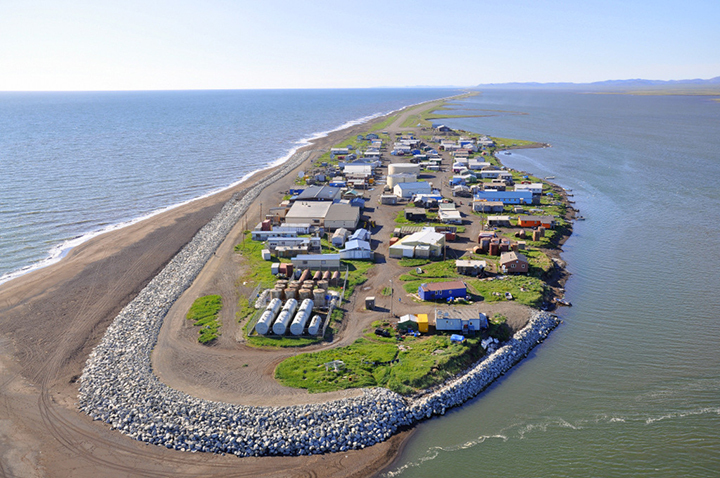 Aerial photo of homes near the water in Kivalina, Alaska. ShoreZone/Flickr. “Managed retreat has disruptive health, sociocultural and economic impacts on the communities that relocate,” said lead author Dr. Andrew L. Dannenberg, an affiliate professor in the Department of Urban Design and Planning in the College of Built Environments and in the UW School of Public Health.